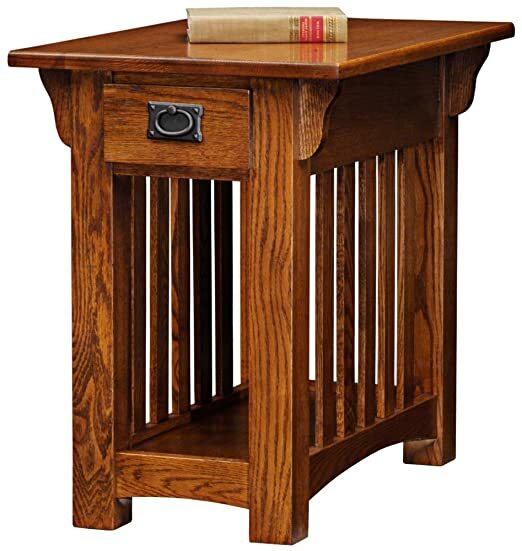 The Mission Chairside Table highlights the best of American furniture style, with blackened ironware, slatted elements and corbel supported tops. 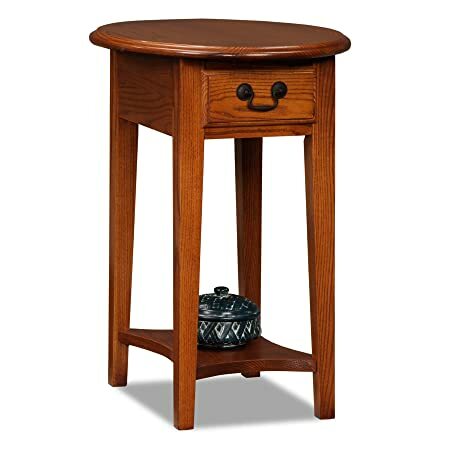 Made of solid wood with oak veneers and a hand padded medium oak finish, this end table has all the elements of authentic mission furniture. A solid wood drawer box is hung with full extension, ball bearing drawer guides for storage, while the bottom shelf offers a place to keep books, magazines and more. Solid ash and oak veneers. 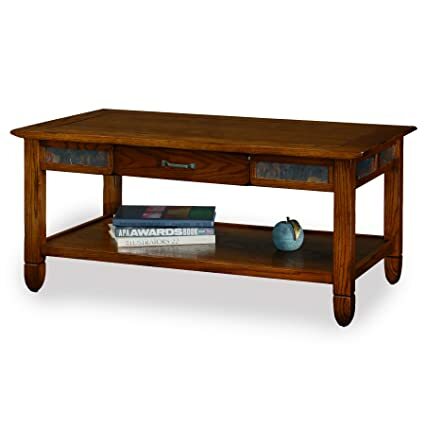 Additional Mission Occasional Tables available: Sofa Table, Coffee Table, End Table. Assembly level/degree of difficulty: Easy. The Boa Narrow Chairside End Table offers a glamorous and curvaceous design that will match any dcor. Sturdily built, these solid-wood tables will durably hold up to everyday use. The table is crafted from solid hardwoods and has a hand applied, Chocolate Cherry finish. Simple, knock-down assembly ensures that setting up is a snap. Simply attach the legs and you’re done! The table takes up a small space with its 14″ W x 24″ D x 24″ H footprint. This chair side silhouette stands at your service beside recliners and upholstery where space is short. Layered with useful features rising up from the open display shelf, enclosed drawer storage, durable solid wood top and finally the convenient, swing arm lighting at the perfect height for reading.A hand applied multi-step medium oak finish will give you years of visual enjoyment. Oval tables ask for only a very small footprint but offer much in tabletop convenience. 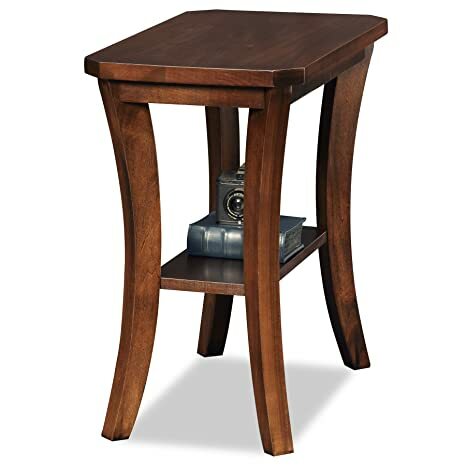 This sophisticated table features light, tapered posts with a convenient storage drawer. 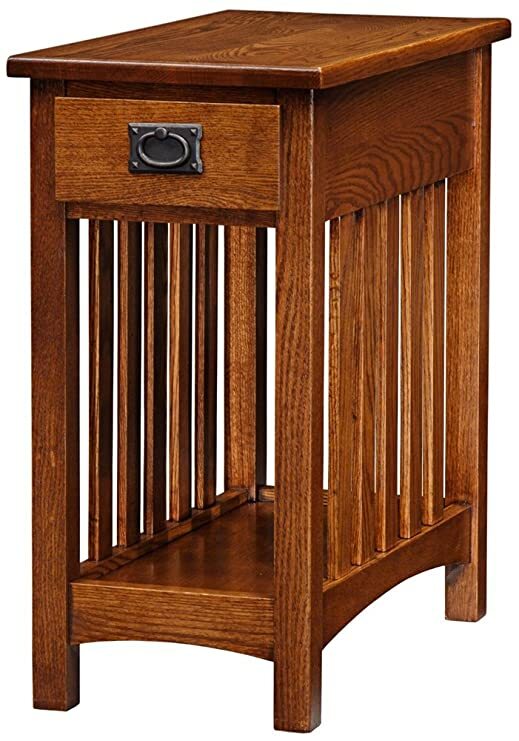 Scaled to fit most anywhere but generous in function, all solid wood construction and a hand applied rich medium oak finish enhances the natural beauty of the wood grain and delivers exceptional durability. 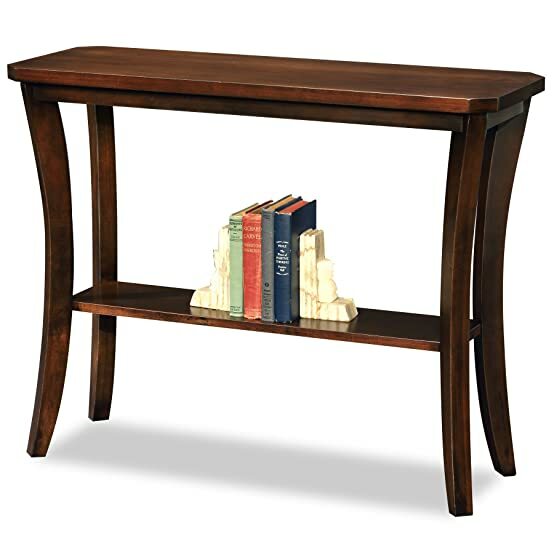 The Boa Hall Console Table offers a glamorous and curvaceous design that will match any dcor. Sturdily built, these solid-wood tables will durably hold up to everyday use. The table is crafted from solid hardwoods and has a hand applied, Chocolate Cherry finish. Simple, knock-down assembly ensures that setting up is a snap. Simply attach the legs and you’re done! The table takes up a small space with its 14″ W x 38″ D x 30″ H footprint. Holds TV’s up to 45 in.. Medium oak finish. One adjustable component shelf behind tempered glass door. Component opening 18 in. x 17.37 in. H. Perforated back for wire management. Sturdy 240 lbs. weight bearing capacity. Made from hardwood solids and oak veneers. Knockdown Assembly makes setup a breeze. 42 in. W x 20 in. D x 25 in. H (90 lbs.). This TV stand holds popular TV sizes from 32 in. to 42 in. and for a compact design, offers many of the features found in much more expensive TV stands. Behind glass, dust-free storage for electronics, bookcase ends behind beautiful raised panels, and a decorative mullioned door are just a sampling. 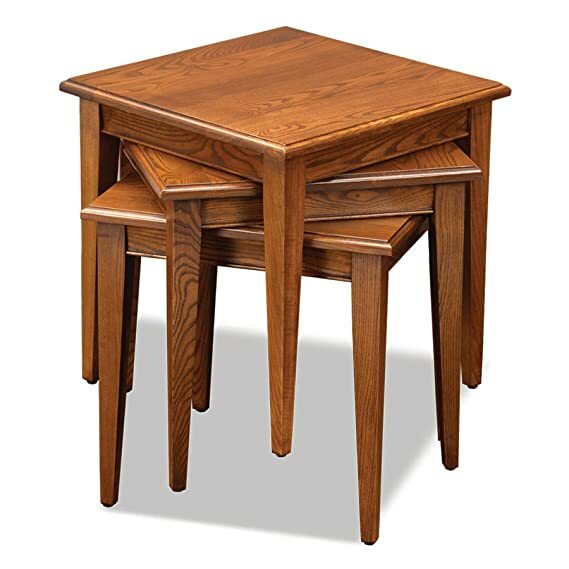 The Leick Medium Oak Nesting Table Set offers a convenient storage space for any home. This three table set stacks compactly into a small space when stored but quickly arrays to nearly seven square feet of additional serving space when needed. All solid wood construction means they are built to hold up and meant to be used. All three tables can be arranged side by side to function as a compact coffee table or used to hold coasters and servings trays when stacked. The tables are finished in a rich, hand applied Medium Oak finish, and assemble easily in minutes. Natural stone details and a comfortable worn finish on the Leick Slatestone Oak Storage Coffee Table gives this table a familiar feeling of comfort. Solidly built on sturdy oak posts each piece in the Slatestone Collection offers layers of storage and display assistance. Store your magazines, books and decor items on the large lower shelf and tuck your remote controls in the solid wood center drawer. Quality wood construction with a hand applied multi step Rustic Oak finish will ensure that your new Leick Slatestone Oak Storage Coffee Table will be a staple for your living space for many years to come. 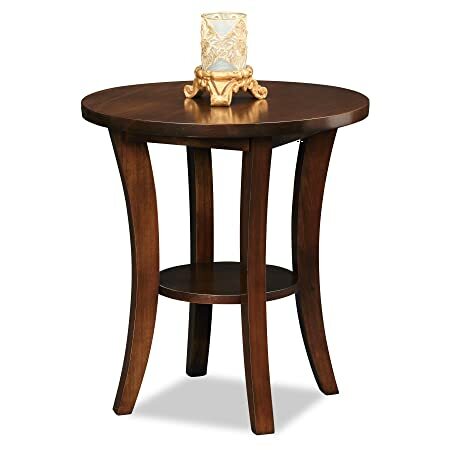 The Boa Round Side End Table offers a glamorous and curvaceous design that will match any dcor. Sturdily built, these solid-wood tables will durably hold up to everyday use. The table is crafted from solid hardwoods and has a hand applied, Chocolate Cherry finish. Simple, knock-down assembly ensures that setting up is a snap. Simply attach the legs and you’re done! The table takes up a small space with its 22″ W x 22″ D x 24″ H footprint. 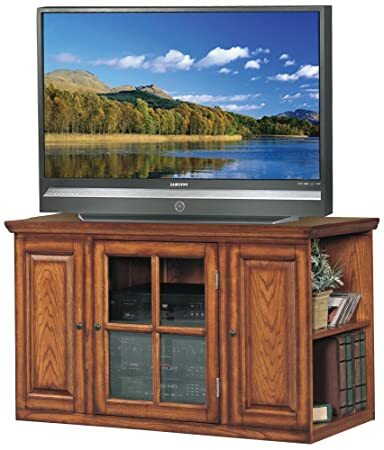 Holds popular TV sizes from 32 in. to 45 in.. Compact design. Dust-free storage for electronics with one adjustable component shelf. Decorative side panels are just a sampling. Keep cords tidy with the perforated back for wire management. Hinge method construction. Made from hardwood solids and birch veneers. Simple folding assembly makes setup a snap. 46.75 in. W x 20 in. D x 24.25 in. H (74 lbs.). This 46 in. 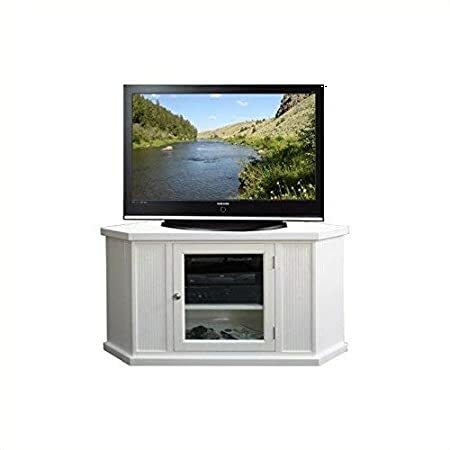 White Corner TV Stand holds popular TV sizes from 32 in. to 45 in. and in a compact design, offers many of the features found in much more expensive TV stands. Behind glass, you can find dust-free storage for electronics with one adjustable component shelf and decorative side panels. Keep cords tidy with the perforated back for wire management. It assembles easily in minutes with a clever, hinge method construction. 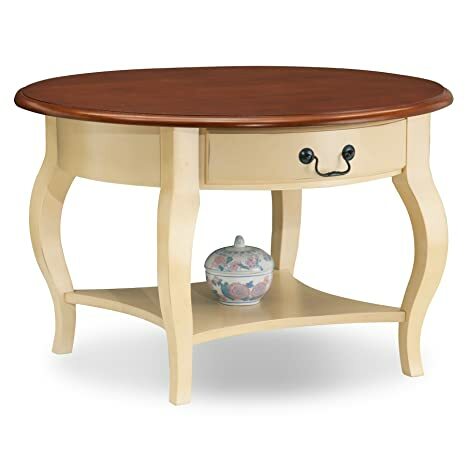 Graceful cabriole legs and a soft, hand applied two tone ivory and cherry finish bring the French countryside indoors in this compact, attractive round coffee table. Drawer storage for your laptop and remote controls, and a large lower shelf for magazines and books keeping your table top clear. Solid wood construction ensures this table will hold up to years of everyday use.